Crassula marginalis growing subshrub succulent of the genus Crassula also known as Crassula pellucida var. 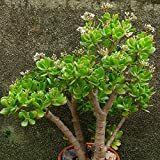 marginalis, Crassula marginalis perennial evergreen used as ornamental plant, can grow in mediterranean, desert, subtropics climate and growing in hardiness zone 10-12. Leaves color can be: green or purple, with margin in white, yellow, pink, purple or more than one color, the leaves in triangle shape and fleshy. Flower color white with five petals the flowers grow on stems clusters. 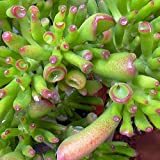 This listing is for 2 succulent plants Crassula Calico Kitten or Crassula Marginalis Rubra Variegata is a beautifully colored succulent. Succulent plant Crassula Calico Kitten. Beautiful variegata plant perfect hanging baskets. This listing is for 2 succulent plants. Crassula Calico Kitten or Crassula Marginalis Rubra Variegata is a beautifully colored succulent.